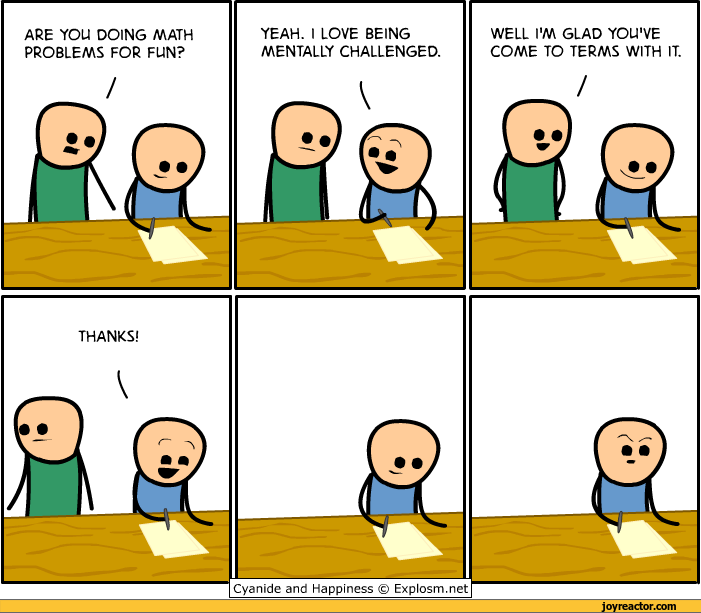 ﻿ARE YOU DOING MATH PROBLEMS FOR FUN? YEAH. I LOVE BEING MENTALLY CHALLENGED. WELL I'M GLAD YOU'VE COME TO TERMS WITH IT. THANKS! mentally challenged means your brain works differently than most people, you see things others don't in a situation, but miss things others get right away.